Following in the footsteps of the Hawkeye series, it is being rumored that Marvel Studios is developing a She-Hulk series for the Disney Plus streaming service starring Mark Ruffalo that will pass the baton from the Hulk to his gamma-irradiated cousin in the comics, Jennifer Walters. No further details are known about the She-Hulk series, but if the rumor is true it obviously points to the Hulk and Banner surviving The Avengers: Endgame (not a big surprise), and we also see that since Mark Ruffalo's Marvel contract looks to be up, again similar to the Jeremy Renner Hawkeye series, Marvel will pass the baton to a female character in nearly the same role. The Hawkeye series sees Jeremy Renner pass the mantle to Kate Bishop, who is featured in The Avengers: Endgame, and who in the comics is a part of the Young Avengers and takes over the Hawkeye role from Clint Barton. 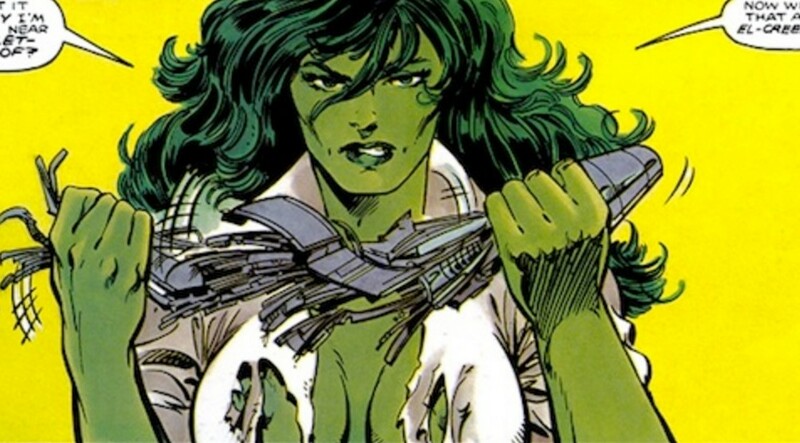 Regarding She-Hulk in the comics, she gets her green skin and powers as a result of a transfusion from her cousin, Bruce Banner, but Jen Walters is able to control her transformation and keeps her own personality, unlike the Hulk and Banner relationship. Interestingly enough, ABC recently passed on an all Marvel female superhero series that was being developed by Marvel TV, so maybe since Kevin Feige wants to do a She-Hulk series, he put the kibosh on the ABC Marvel TV all-female project (Marvel TV and Marvel Studios are separate companies at Disney). The Disney Plus streaming service launches in November and is confirmed to have Marvel series for Loki, starring Tom Hiddleston; WandaVision, starring Elizabeth Olsen and Paul Bettany; and Falcon and The Winter Soldier starring Anthony Mackie and Sebastian Stan.